Quizzle.com has closed its doors and moved in with our new family over at Bankrate. Although this is the end of Quizzle, it’s not the end of your credit journey. 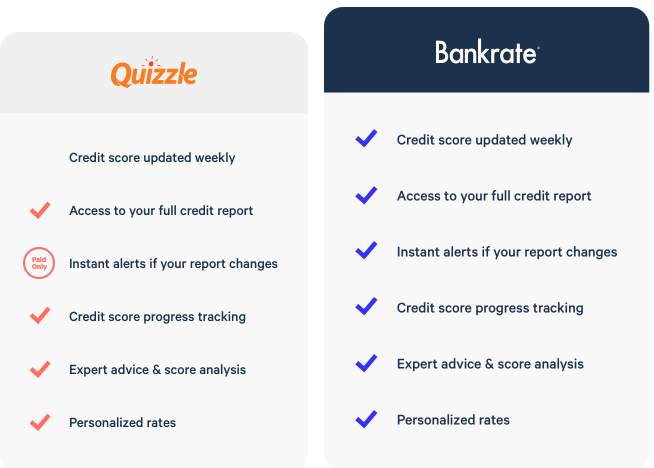 We’ve joined forces with Bankrate to create a faster, stronger, smoother, credit reporting and analysis tool. We encourage you to create a new account with us at Bankrate and continue your credit improvement journey. 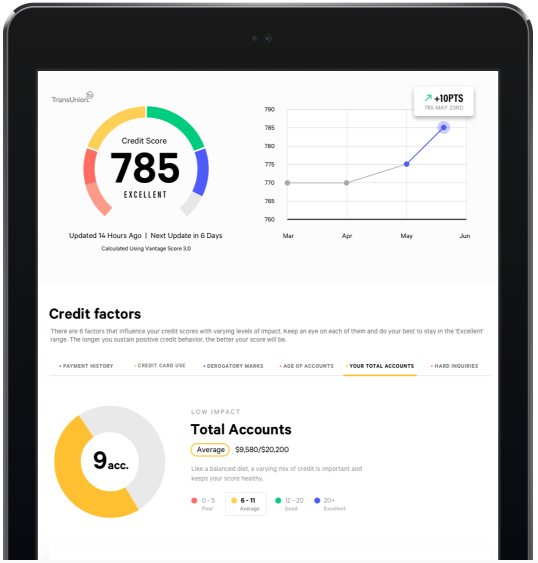 At Bankrate we’ve launched a brand new, completely free credit monitoring and analysis tool. We highly encourage you to create a new account and continue your credit improvement journey. The world of credit can be confusing, and we’re glad to have helped so many navigate their credit information and make informed financial decisions. We hope that you create an account with us over at Bankrate and get even smarter insights that help you master life’s financial journey. And thanks again! We’ve enjoyed our journey as Quizzle and are excited to take the next step in our new home at Bankrate.